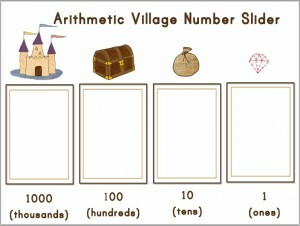 Last year, I created an Arithmetic Village slider for a home school co-op. 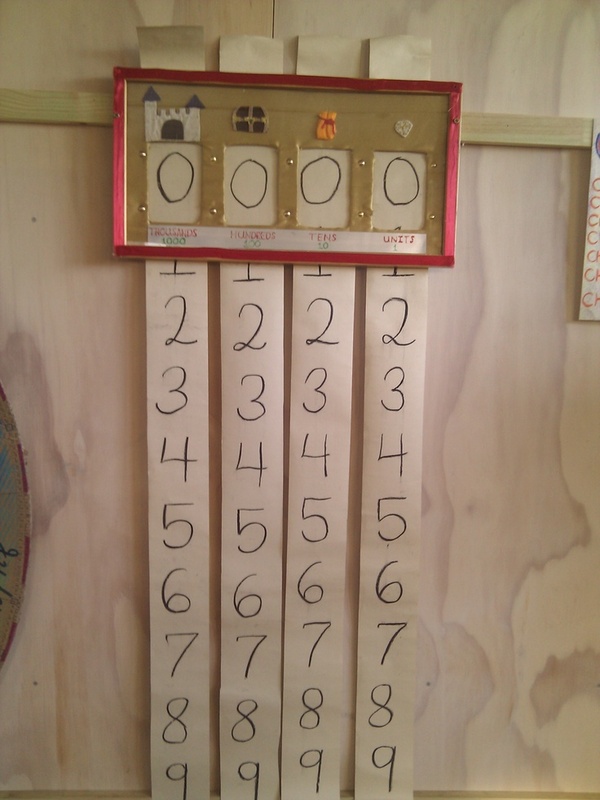 It was really cute, but a bit fiddly with the long roll of numbers that sometimes stuck when children worked them. The last few months, I’ve spent my free time creating an activity book for Arithmetic Village and have been considering easier ways for children to explore and practice pace value. 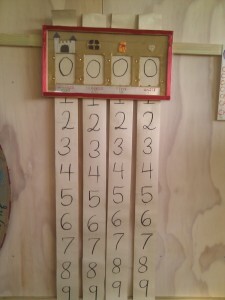 I’ve used chalk boards in the past, but wanted to create something for families who prefer downloadable materials. 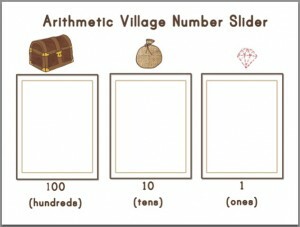 All you have to do is to put it into a clear plastic sleeve or laminate the sheet of paper and use a wipe off marker to keep track of jewels the Arithmetic Village way! This first slider only goes to one hundred. The second one goes to one thousand.